A Sleaford man has to find more than £5,000 to pay fines and court costs after failing to keep three bedsit houses he manages in a safe and suitable condition, a court has ruled. John Ellis, pleaded guilty to nine offences on March 30 of failing to meet regulations relating to the management of houses in multiple occupancy in the town. He was given a financial penalty of £5,227 by Lincoln magistrates. Of this, £2,354 was required to meet North Kesteven District Council’s prosecution costs following multiple complaints from tenants about the condition and safety of the properties at North Road and Lincoln Road in Sleaford – each of which had four or more bedsit rooms. The breaches related to failure to provide electrical safety certificates on each house, not having fire alarms tested, not having a hand rail in one house, inadequate lighting in two of them and a locked front door which could not be opened from the inside in the event of a fire – all between June and September 2014 and all factors which the magistrates described as significant safety issues. Their concern about the inadequate front door was reflected in the £750 fine they imposed within a total £2,800 fines order and £75 victim surcharge. Ellis, 56, of Maiden Grove, had a further eight counts taken into consideration by the court. Although, as a consequence of the council’s intervention, he had carried out a lot of work necessary to bring the homes up to scratch, these matters had remained outstanding beyond a reasonable timeline, a council spokesman said following the case. 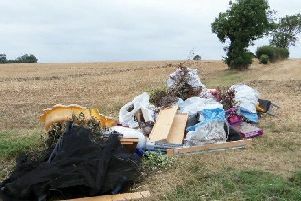 tMark Taylor, North Kesteven District Council’s Head of Environment & Public Protection, said the case illustrated the seriousness with which the council took public safety within private-rented housing as well as its own stock. “Although we have worked with Mr Ellis over a significant period of time to effect the improvements needed at these properties, to carry out the right checks and prove that through certificates, there were a number of ongoing failings which we had to pursue through the courts,” said Mr Taylor. “Landlords and their agents should know that they cannot get away with inadequate and unsafe housing in our district. We will identify your failings and take you to court if necessary.